In my not particularly extensive experience, horoscopes are a bit hit and miss. My positive love or work experience today might vanish with a new day or a new magazine. To counter this random effect, the Japanese have developed a seemingly fail-safe system to guarantee each punter gets good luck. I came across lots of fortune telling in Japan, normally in temples. There were several different sorts of fortune telling machines, which gave you a piece of paper (English available), and there were sticks which you bought from a vendor and had a number on, which related to a fortune. But the great thing about the system is that if you don't like your fortune, you get rid of it, and take another one. 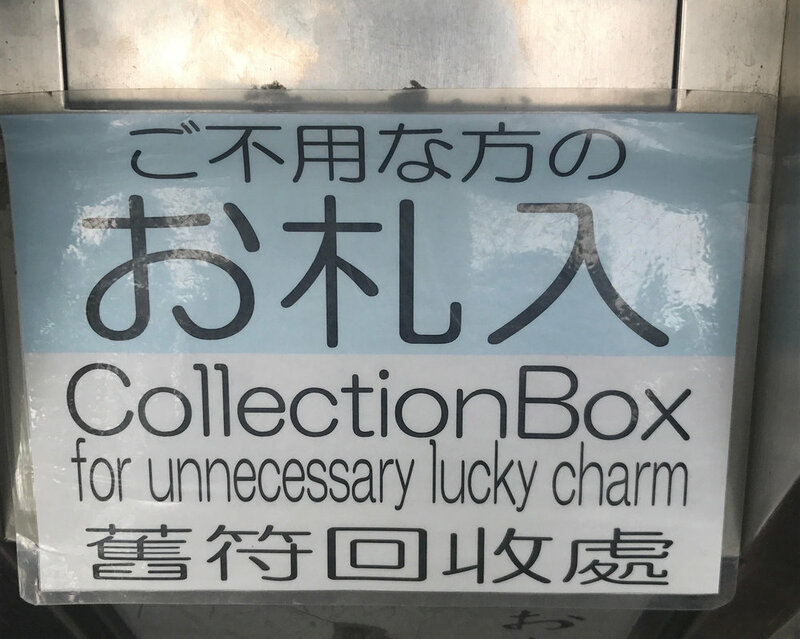 One temple had this useful box for "unnecessary" fortunes; in another place you tied your unlucky fortune to a sort of washing line outside the temple; only taking home the good ones. Sounds very sensible as a money-making venture for the monks too. Just keep picking (and paying) until you get the fortune you want.